Grand Ages: Rome is a single player and multi-player game that offers a mixture of city building and real time strategy to create an overall fun and strategic focused game experience. Grand Ages: Rome was released in 2009 and is published by Kalypso Media. The game is the sequel to Imperium Romanum and was originally named Imperium Romanum 2. An expansion pack for the game (The Reign of Augustus) was released approximately a year later to add additional gameplay. 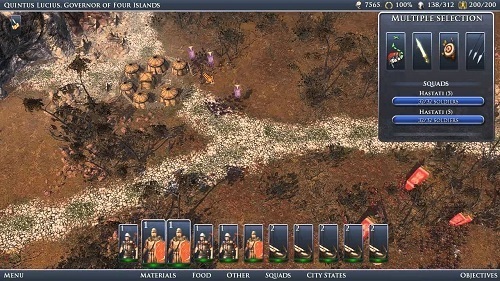 In the single player campaign of Grand Ages: Rome players take control of the Roman Empire and go about completing various missions to improve their reputation within the game world. Players will encounter plenty of historical figures with even some historical based events making an appearance within the campaign story. Grand Ages: Rome lets player create their own personal character which includes selecting your family association. Your choice of family provides unique perks as you play the game and will greatly impact your play style and focus (economic, military or civic). Fans of macromanagement will love Grand Ages: Rome as there is very little micromanagement within the game. 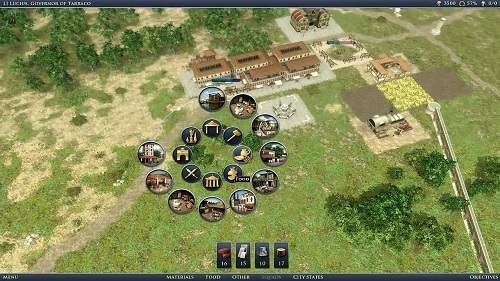 Instead players must direct their focus to building large Roman colonies with certain requirements forming objectives for the player to achieve in each level. You’ll have to manage all the aspects of a successful civilisation including food production, materials, religion, housing and technology. While building the required structures is an important aspect of the gameplay players must also ensure that everything is being run in an efficient manner. There is still enough room for you to do your own thing as well so there is plenty of room to create something unique while still meeting the goals of the level. The game also features a military side making it a hybrid between building games like SimCity and real time strategy games like Age of Empires. The game split is about 50/50 so regardless of your preferred genre there is plenty of gameplay for you. Hybrid of city building and real time strategy. Focus on building an efficient civilisation or going to war. Offers both single and multi-player game modes. Family choice impacts your strengths allowing for good replay value.